BuncoFun for most any occasion but especially great for Bunco Night. 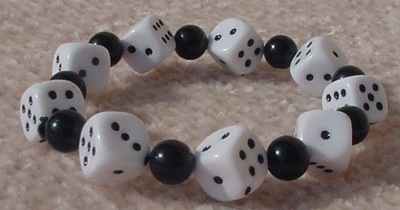 This black and white dice bracelet has elastic for easy fit. Truly fun and perfect for any season. Each dice, bead vary slightly with each bracelet.